GIF - noun - a moving image; short for Graphics Interchange File. Pronounced like GIFT (without the "t"). GIFs are fun ways to communicate frustration, sadness, excitement, or your reaction to good news. At Christmas time, it's easy to focus on the gifts. 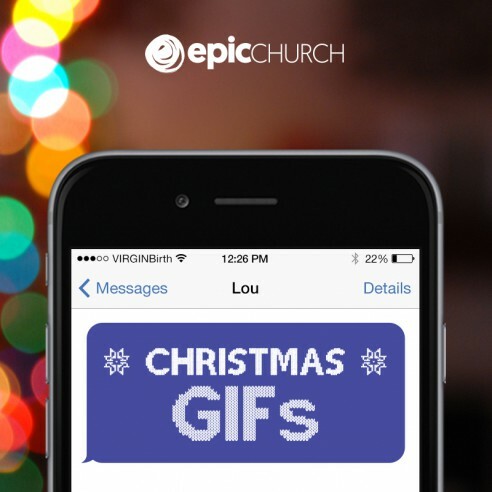 Each Sunday this December, we're going to look at some Christmas GIFs--pictures of Jesus when he was on earth, and how those small snapshots of his life communicated the biggest, most incredible message the world has ever known.